Lemon Tea Benefits: The smallest member of the citrus family actually provides more health benefits than larger fruits of the same group such as oranges. To understand the scientific theory behind the tangy, bright-yellow fruit, we first must look at the components of lemons. Lemons are comprised of vitamin A and other antioxidants including alpha and B-carotenes, B-cryptoxanthin, zeaxanthin, and lutein. They also contain vitamin C, fiber, and citric acid. Let’s see amazing benefits of lemon tea here. Lemon tea is one form of green tea or black tea liquor blended with the right quantity of lemon juice just before serving. As one adds lemon juice the color of tea liquor changes and this is specifically pronounced when added to black tea. Lemon tea is always made with regular green teas or leaf tea. Lemon tea is harmless and can be consumed by anyone. Helps ease effects of major disorders and diseases by boosting the immune system. With the anti-inflammatory attributes, lemons have been known to help those with respiratory disorders such as asthma. Even those suffering with arthritis have seen improvements with a morning lemon tea. If the immune system is strong we obviously heal more rapidly and the vitamin C found in abundance in lemons, immensely helps to heal wounds rapidly and basically takes care of all the tissue in the human body including cartilages and bones. Vitamin C also helps our recovery from anxiety and stress. 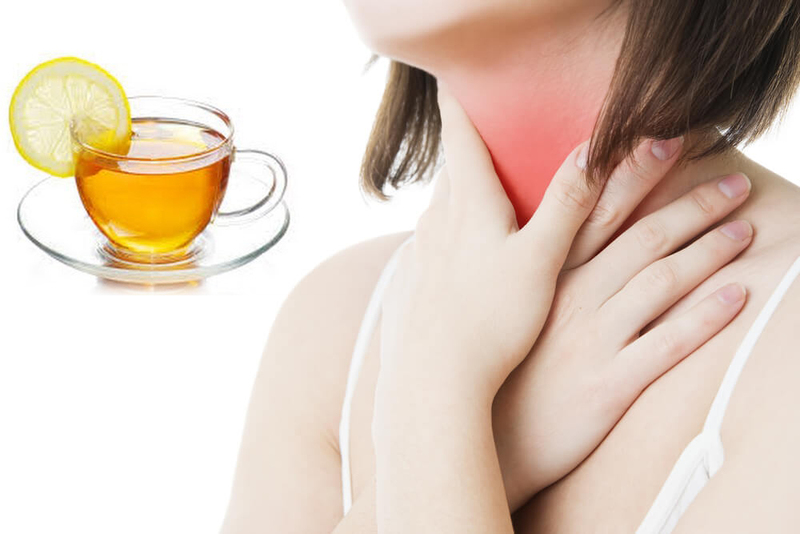 Lemon tea facilitates healthy digestion through its calming effect. This is because it eliminates toxins and waste products, and enables your body to absorb more of the beneficial substances present in it. The citric acid in lemons aids in digestion and helps to dissolve kidney stones, while the ascorbic acid is a natural antioxidant that prevents the sailor’s dread – scurvy. Lemon is one of the most alkalizing foods for the human body bringing it back to the balanced state. When we are over acidic we are vulnerable to diseases – no disease can survive in an alkaline body. Drinking lemon water daily can help to remove high acidity in the human body, including uric acid in joints – one of the primary causes of inflammation and pain. Stabilizes mood with its clean warming smell, especially when heated. The fresh scent of lemons is used in aromatherapy sessions. This is the most important benefit of lemon tea. Our body is on a fast while we sleep and is in the mild state of dehydration when we wake, lemon water can re-hydrate the human body within minutes of drinking it which is why it is so great first thing. Lemon tea –warm water and lemon juice helps to replace fluids that are continually lost by the human body. We all are aware of the benefits of vitamin C for the skin. Lemon possesses astringent properties that help reduce acne and other skin disorders internally. Thus, consumption of lemon tea can help combat acne and various skin disorders. Promotes weight loss by keeping your pH levels in balance. Remember, lemon tea speeds up your metabolism, increases energy, acts as a diuretic, and flushes toxins from your body. Drinking lemon tea will also prevent bloating.